Comments have been pretty weird lately.. Some messages were being tagged as spam (Thanks Carl for pointing it out!) and I really don’t check my spam folder, so my apologies for a late response/approval. Great lines. I prefer the first image. Thanks CG, I think I’m with you on that. Porcupine Tree is one my all time favorites. I like the first one better… probably the angles. Thanks Face. Yeah, they’re an excellent band! Prefer the first shot but the angles on both are great. Thanks Russ, I think I’m with you on that. 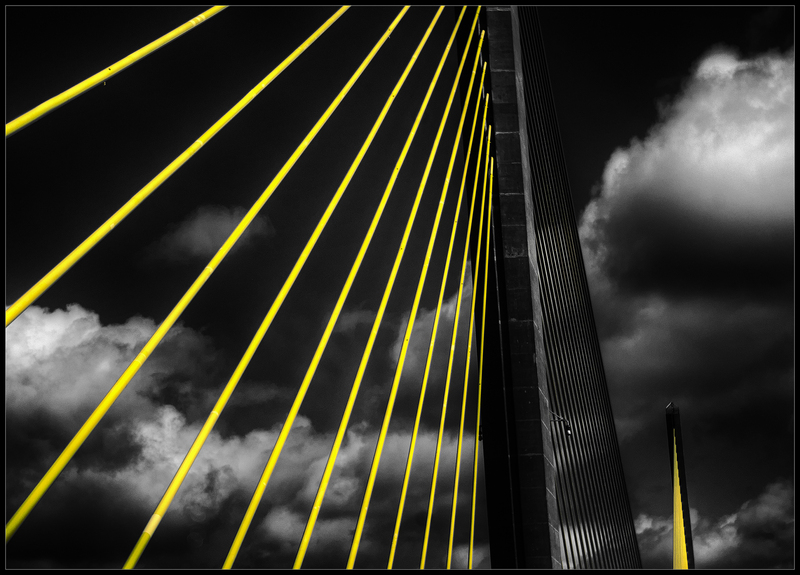 I’m generally not a huge fan of yellow, and it really didn’t come out looking well when I tried to desaturate it. Terrific! Wildly creative on that second one. Really amazing shots! I prefer the first one for its composition! Beautiful shot. The B&W goes with the sadness. It is like a surreal dream world in the BW one. I like it, bewildering. Hi Robert, you are such a skilled artist when it comes controlling and balancing the tonal range. 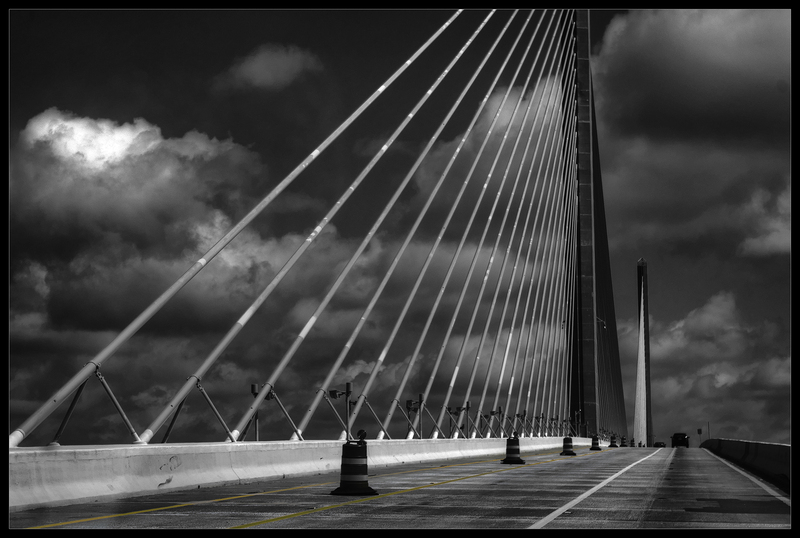 In the first photo your placement of highlights on the bridge and in the cloud enhances what is already a stunning composition with space and bridge sitting in perfect harmony. The yellow against such a strong sky in the second makes for a more crowded image.